A 20-year-old woman has been arrested on suspicion of criminal damage after an ‘incident’ at a flat last night. Officers were called to a flat in Battle Road in St Leonards at 4.35pm, according to Sussex Police. The force said the woman was ‘arrested following an incident’ at the address. 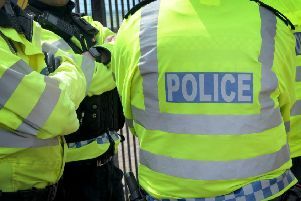 A 20-year-old woman from St Leonards was arrested on suspicion of criminal damage and she remains in custody, police confirmed this morning.